L L Overhead Garage Doors in New York, NY installs and provides excellent service for residential, commercial, and industrial garage doors, as well as automatic garage door openers. Repairing broken sections, springs, cables, hinges, rollers, and electric openers is our specialty. Give us a call and our fully stocked trucks and trained technicians will almost always be able to perform repairs immediately. 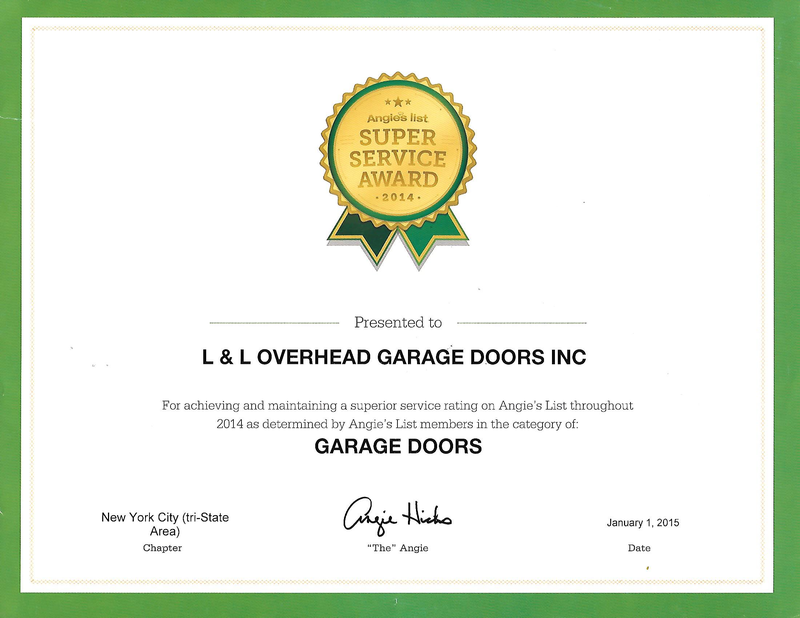 Here at L L Overhead Garage Doors, we work with our clients as closely as possible. Whether you require a new door or a particular repair service, count on our team to be there when and where you need them. As a licensed and insured company, we promise to deliver the best service and products you deserve without breaking the bank. Call us today to learn details about our company, products, and services. Our friendly experts are here to address all your garage door concerns. You may also leave us a message through our online contact form if that is more convenient for you. We hope to hear from you soon.